The Saudi-led military coalition has announced it will investigate an air strike in Yemen which killed at least 29 children. On its Twitter feed, Saudi-funded Al-Arabiya TV quoted a senior official who said the coalition was probing “collateral damage” from the strike. But now the coalition intends to investigate the strike, with Al-Arabiya TV quoting the official as saying they will “bring the perpetrators to account and compensate the victims”. 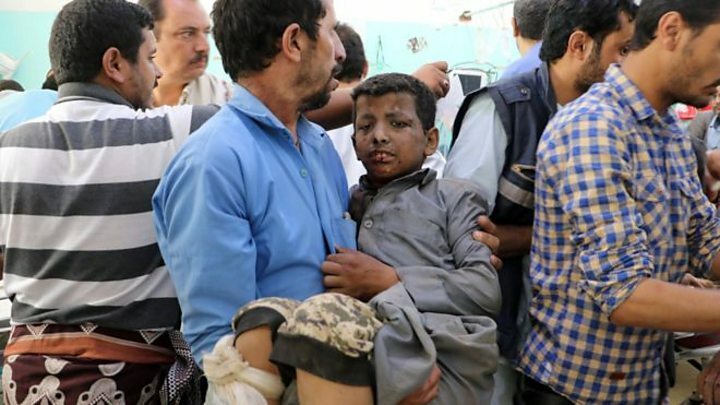 The Houthi-affiliated health ministry now says the death toll from the strike has risen to 51 in total, including 40 children, with a further 79 injured. UN Secretary-General Antonio Guterres has called for an “independent and prompt investigation” into the strike, his spokesperson said. UK Foreign Office minister Alistair Burt also stated the need for a “transparent investigation”, posting on Twitter that he was “deeply concerned” by the attack. 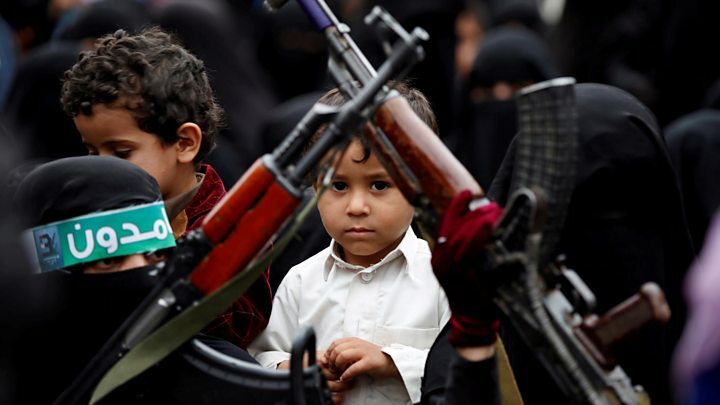 Mohammed Ali al-Houthi, leader of the Houthi Supreme Revolutionary Council, tweeted that he was prepared to co-operate with an international inquiry. The bus was hit as it passed through Dahyan market, transporting local civilians, including many schoolchildren, Yemeni tribal elders told the Associated Press news agency. The children were on their way back to school from a picnic when the driver of their bus stopped to get a drink, the charity Save the Children said it had been told by its staff. Almost 10,000 people – two-thirds of them civilians – have been killed and 55,000 others injured in the fighting, according to the UN. The fighting and a partial blockade by the coalition have also left 22 million people in need of humanitarian aid, created the world’s largest food security emergency, and led to a cholera outbreak that is thought to have affected a million people.